If you needed an extra reason to hit the mall and max out your credit card(s), well here it comes! What’s better than shopping for yourself, you ask? Shopping for your loved ones 💚 If you consider your clients as loved ones, then make sure to have enough merchandise beforehand to sustain your business through the holidays. A shortage of inventory will not only hurt your business but can also ruin your holidays by filling them with worry (instead of glee). You don’t want to find yourself running around, trying to find last-minute solutions to keep your business up and running. 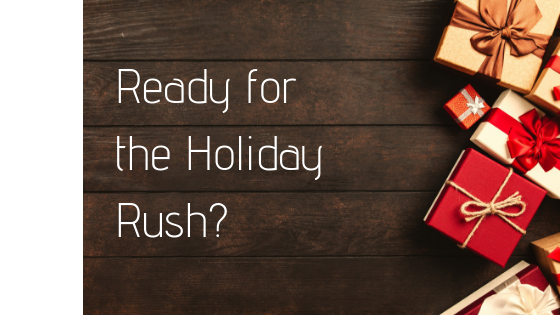 The holiday rush can be stressful but it is also an opportunity to show your clients that you care, so stock up all the right tools and material you may need, that way you ensure that you have all you need to treat your clients right! Winter holidays are a win-win for everyone! But business-wise, if handled with proper planning in advance, Christmas can be a great time for you to get those extra cash flows coming right in. By offering special deals and advertising them properly, you might see clients rushing to get ahold of them! For instance, if you work as a massage therapist, you can offer special winter season gifts card for a massage. Or if you own a nail or hair salon, you can offer different holiday promotions for all those clients that want to look their best for their Christmas or New Year’s Eve celebrations 🎄🎉 If you use an online booking platform, make sure to add those promotions on your homepage either as token cards with an expiry date or as exclusive winter season services that you offer on a set and limited timeline. Either way, this is a great way to promote your business and show your clients that you’re thinking about them during this special time of the year!